For those always on the go, this recipe is creative, healthy and easy to make. And, it’s convenient. 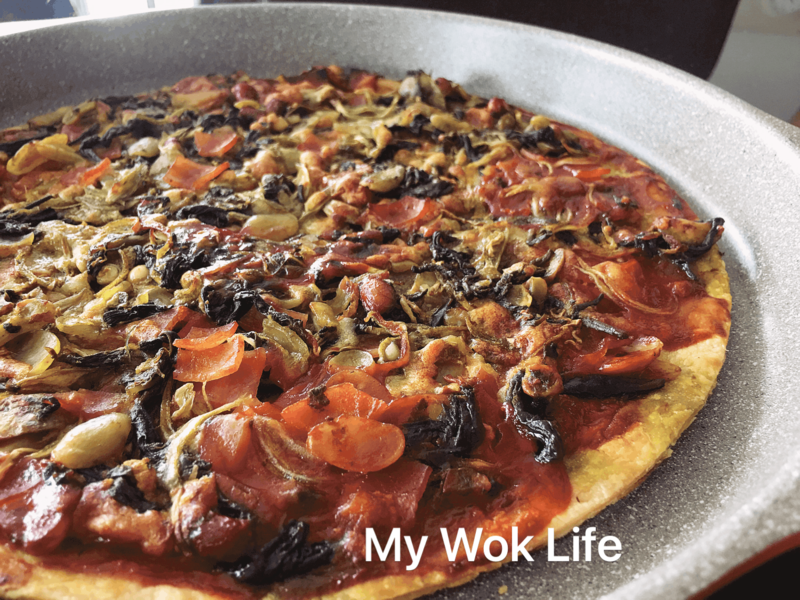 When an appetizer turns main course……. (1) Mix together topping (A) in a bowl. 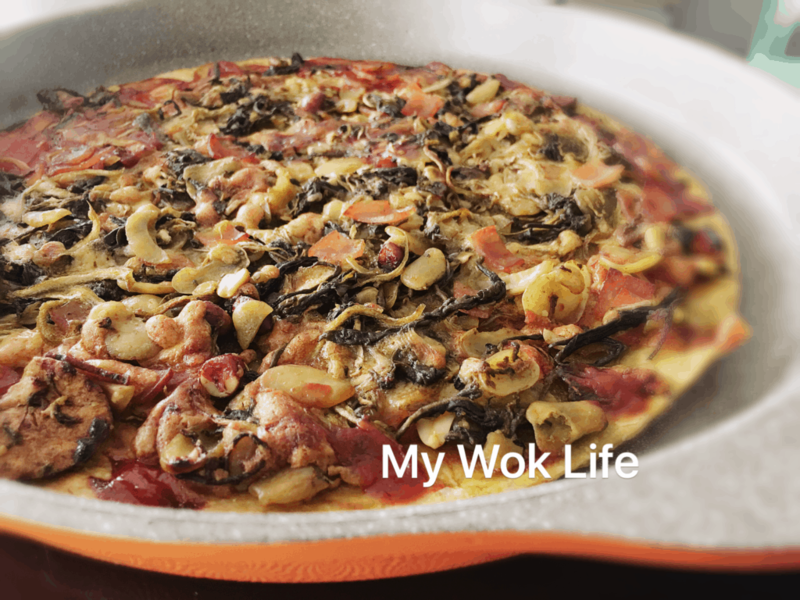 (2) Spread tomato puree evenly on Mission’s pizza crust base. Arrange Myanmar tea leaves salad mixture on the spread. Top with ham and grated cheese. (3) Bake in preheated oven for 10 minutes on 160deg Celsius. Sprinkle sesame seeds. Serve hot. Mission’s Pizza Crust pack comes with two shelf-stable (unfrozen, ambient) 10” diameter pizza crusts. 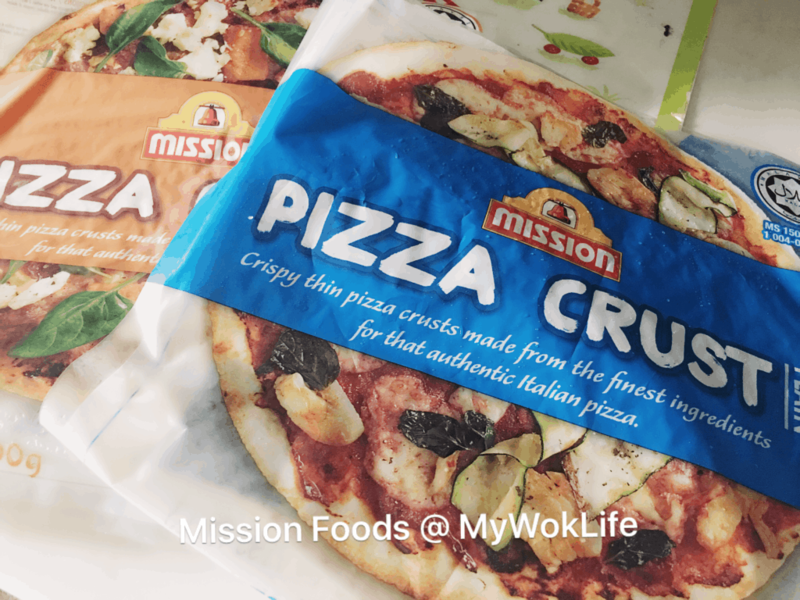 Available in two flavours – Plain and Wholemeal, the crispy thin pizza crusts have the signature Mission taste, and are made using the finest ingredients for that authentic Italian taste. 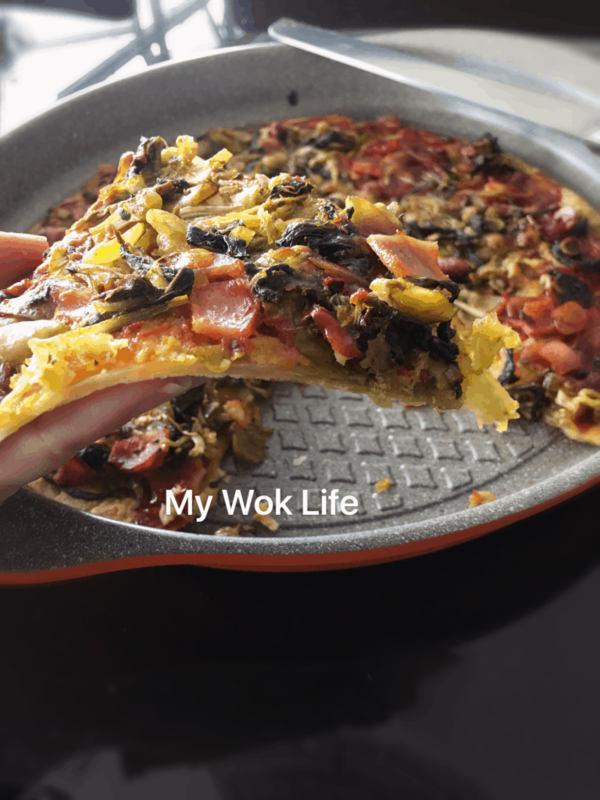 I personally preferred the wholemeal crusts as I don’t feel the grain texture in it, yet for sure it is an healthier option. 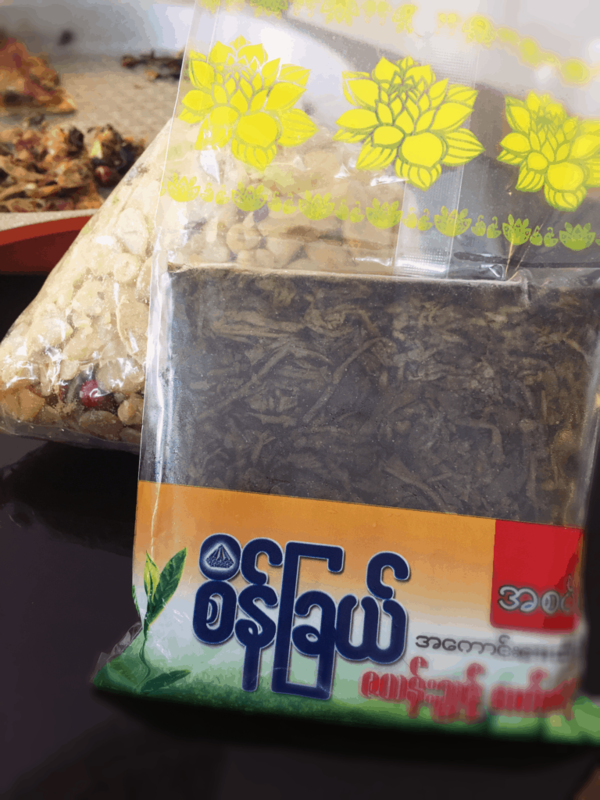 Tips: Myanmarese tea leaves pack and mixed nuts are available at Myanmarese grocery shops in Peninsula Plaza.